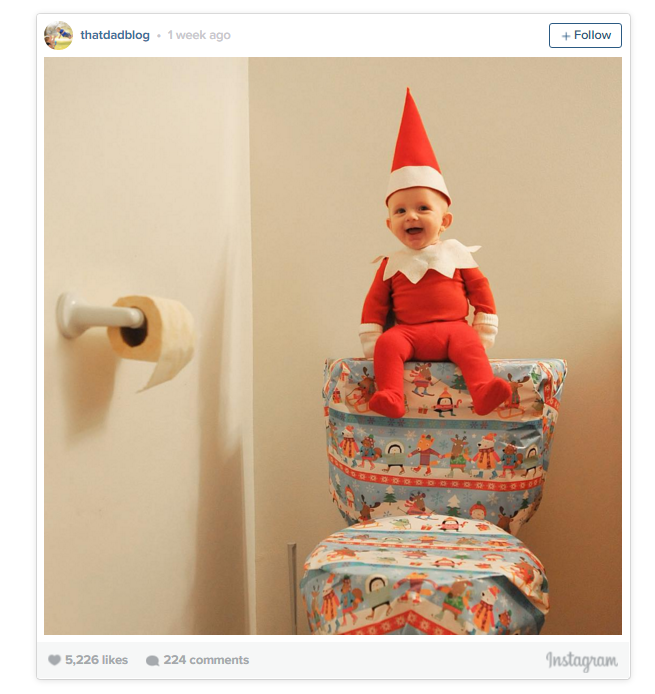 Its getting really hard to top what people are going to do each night with Elf on the Shelf…so one dad decided to step up his game. 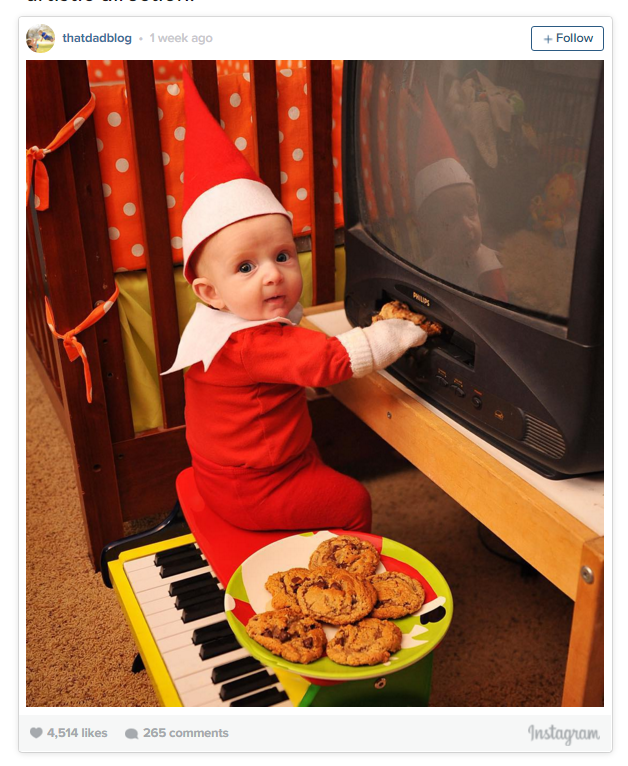 Instead of using a store brought elf, he decided to use something he had at home…his own kid! 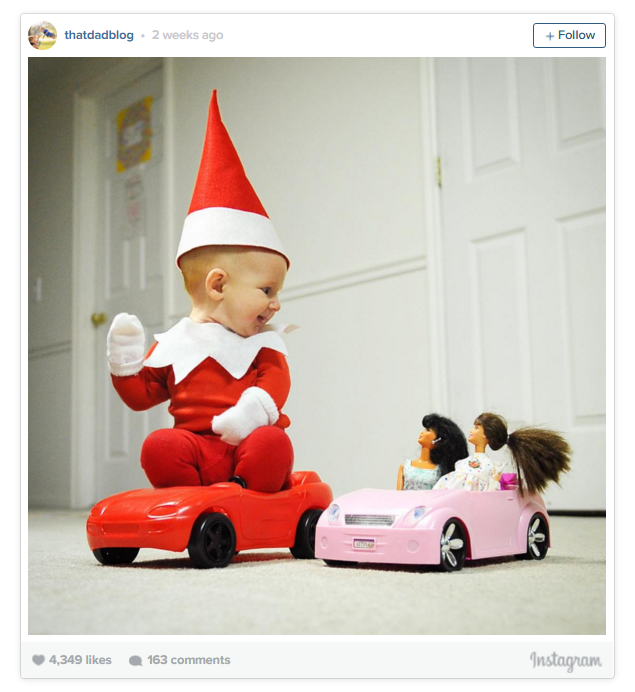 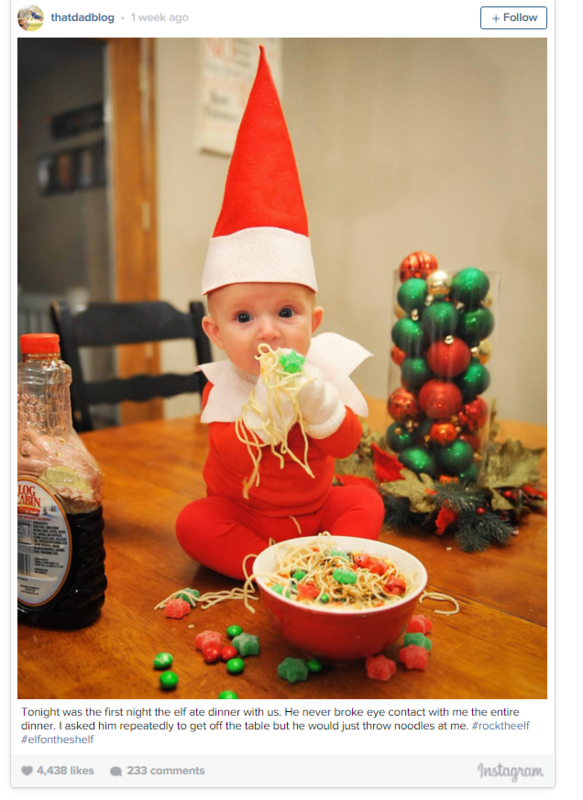 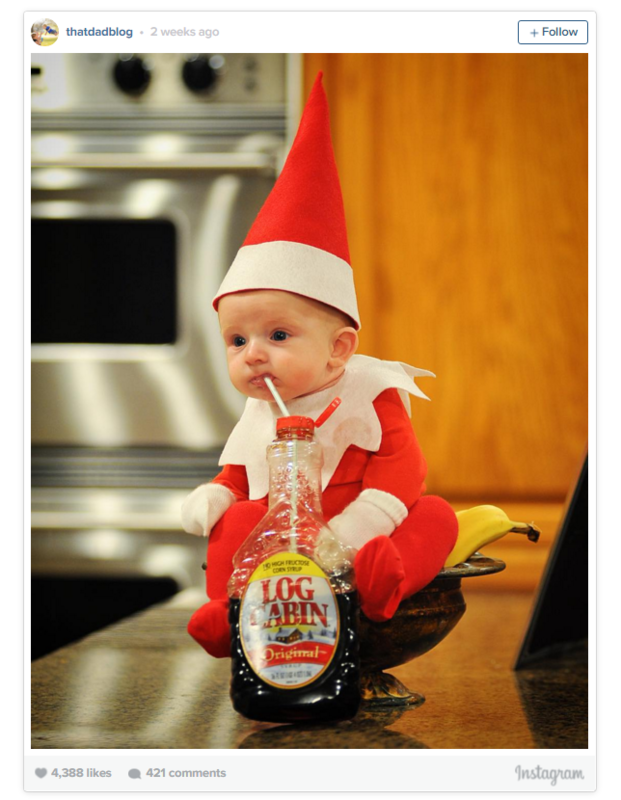 This Elf on the Shelf is undeniably the cutest elf out there. 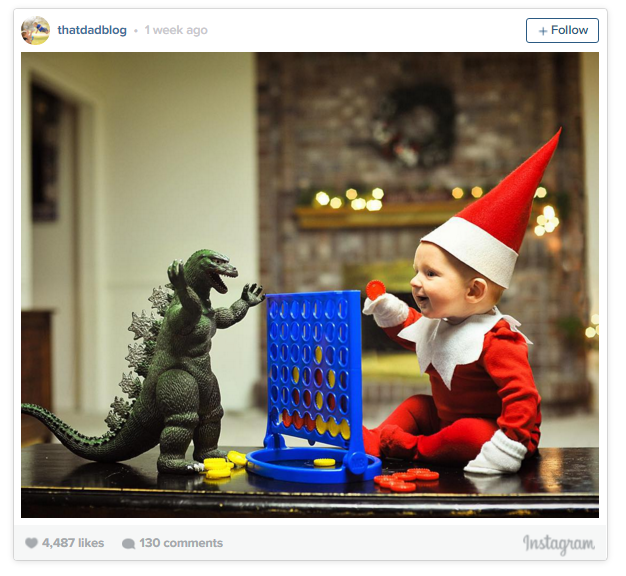 Alan Lawrence recently came up with the idea by dressing up his 4-month-old son Rockwell as the notoriously naughty holiday character. 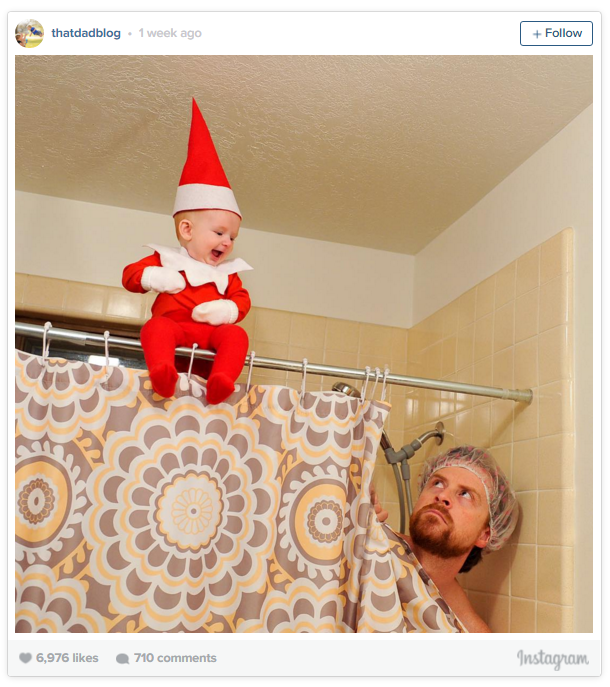 So if you like these, you can follow Alan’s Instagram account at ThatDadBlog.